The 5G revolution is almost upon us, and a lot of smartphone makers have already promised 5G-ready smartphones for 2019. In fact, Samsung's 5G variant of the Galaxy S10 has already gone on sale in South Korea. Its rival Apple though, will most likely not have a 5G ready iPhone this year. Apple will be housing Intel's 5G modems for its iPhones which are expected to be released next year. Or are they? A report on 4 April claimed that Intel was missing its deadlines on the 5G modem production front which would delay Apple's 5G iPhone launch. Intel is expected to be the sole provider of 5G modems for Apple in 2020. According to the report, Intel had consistently missed its deadline for the development of the XMM 8160 5G modem. Intel has come out and denied this report, claiming that its 5G modem schedule is on track. 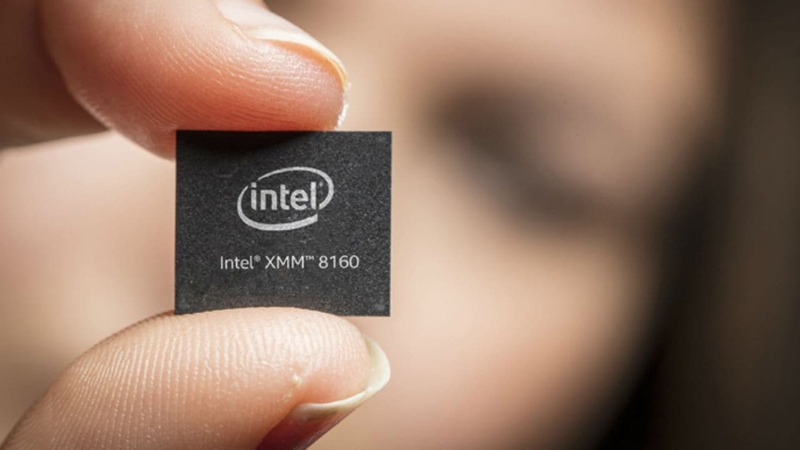 Speaking to Venture Beat, Intel said, "As we said in November 2018, Intel plans to support customer device launches in 2020 with its XMM 8160 5G multimode modem." This chip is expected to be rolled out in the second half of 2019 so that it is production ready by the first half of 2020. Intel is already late on the consumer 5G bandwagon, as its rivals have started deploying 5G modems in upcoming flagships. Qualcomm has the Snapdragon X55 modem chips which are going to be seen in 5G smartphones this year. Qualcomm's 5G modem is expected to be seen in around 30 products this year. Samsung has already begun the production of Exynos Modem 5100. Huawei, which is facing flak from some countries, is also going ahead with its Balong 5000 5G modem which will be seen on its devices this year, such as the Mate X. Apple has no such plans this year, thanks to its Intel-only partnership for 5G modems. According to Intel, the XMM 8160 5G modem is expected to run cooler and consume less energy. It is also expected to support networks from the mmWave to sub-6 GHz 5G as well as legacy 2G, 3G and 4G. In the past, Apple and Intel had a slight tension because of the "heat dissipation issues" that would raise the temperature and hinder the iPhone battery life. This, however, should not be a big enough reason for Apple to not consider Intel and one of the reasons why Intel decided not to go ahead with XMM 8060 5G modem on the iPhones in 2019.